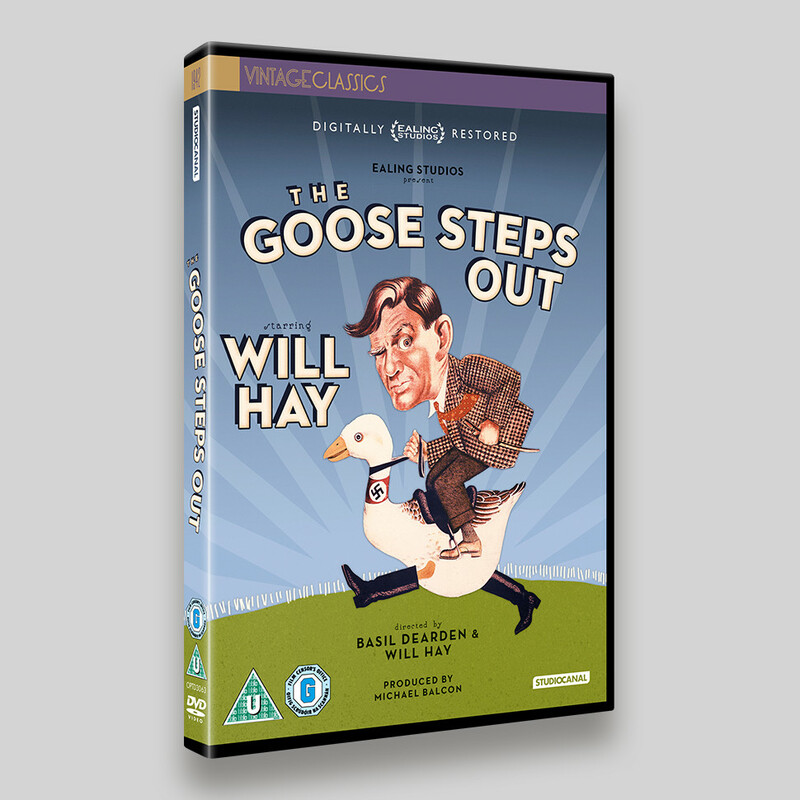 The Goose Steps Out is a StudioCanal Vintage Classic and part of the Ealing Studios Digitally Restored collection. Comedy legend Will Hay stars as William Potts, a hapless, clumsy schoolteacher, who just happens to be an identical body double for a notorious German Nazi general. 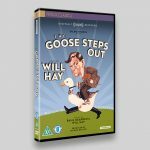 When the army is made aware of this uncanny resemblance to the German, who they are currently holding prisoner; they decide to drop the reluctant Mr Potts behind enemy lines. His deadly mission is to find and retrieve information on a secret weapon that the Germans are planning to use. But whilst impersonating the Nazi general, William Potts manages to infiltrate the college of Hitler Youth. He also manages to make a big impression on the students who are being trained as spies and are learning how to fit into British society. Luckily Mr Potts is at hand to give them lots of handy hints in honour of the war effort! The cover artwork for this title features Will Hay riding a goose, surely a winning combination? It uses elements of the original UK artwork, but features a new title treatment and a brighter colour palette – and omits the tagline ‘Pokes Fun At The Hun!’. The Ealing Studios Vintage Classics have their own visual language (see The Proud Valley) which works really well will the poster artwork. I like the subtle use of the Nickleodeon Font on the ‘starring’ (also available in the book Retro Fonts by Gregor Stawinkski, that I highly recommend) and the texture in the grass created by using blow pens for that random airbrush quality. The film was supported by the BFI‘s Unlocking Film Heritage. 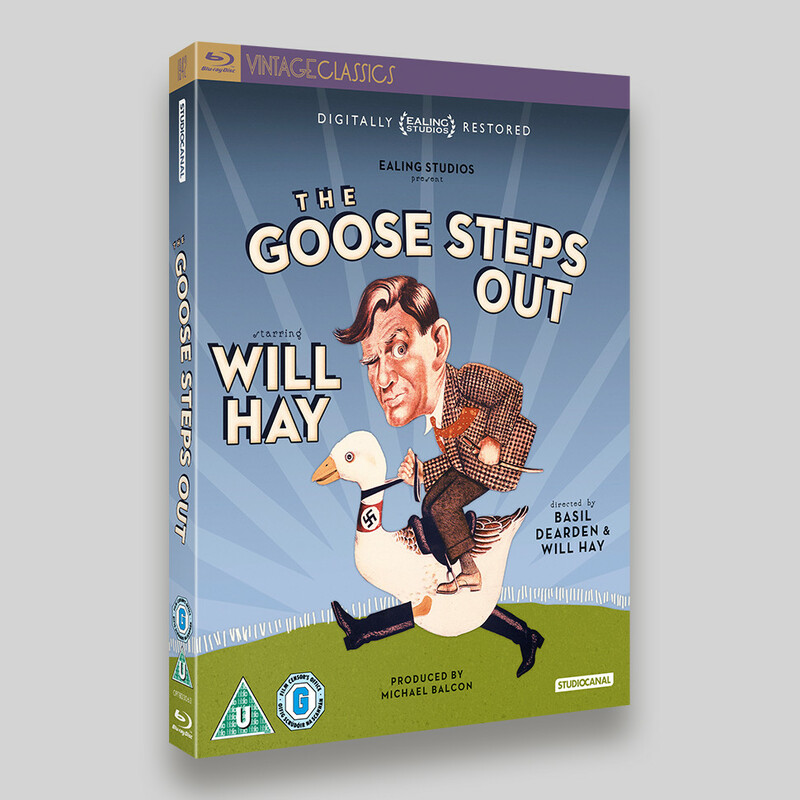 The Goose Steps Out is available on DVD and Blu-ray.